While the console (and PC, too, but we'll be skipping that platform for now) versions of the game do allow you and your friends to join up online in a private session, the main method for doing this is via a non-dedicated session, meaning the game is only available/running when the host is around. Additionally, players are essentially tethered to the host and cannot run off wherever they want. If you and your friends want to play whenever/wherever, then you'll need a dedicated server, which means someone will need a second console, a decent Internet speed, and do some setup to get that up and running. It's a bit much to ask of a friend, not to mention you shouldn't be stressing them out over five nines reliability. [Cross-ARK] allows players to connect multiple custom private servers together to create a large cluster and jump seamlessly between different servers/worlds. All server settings can be adapted to the player’s preference by editing the settings through the web portal. As a final reminder, you do not need to rent a server or host a dedicated server if you want to play ARK with friends. Just create a private non-dedicated server, invite your friends, and get to surviving! 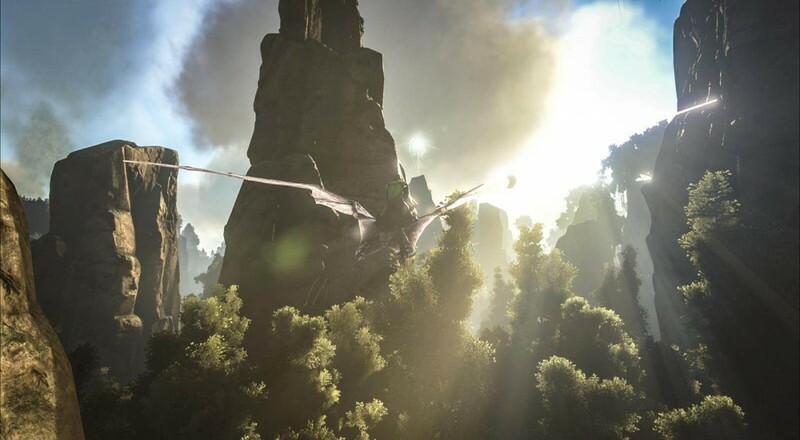 ARK: Survival Evolved will see a final release on August 29 for PC, PlayStation 4, and Xbox One.